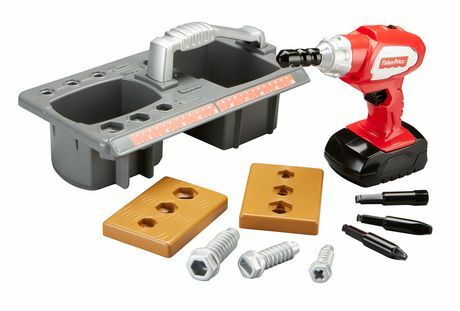 ​Need something fixed? 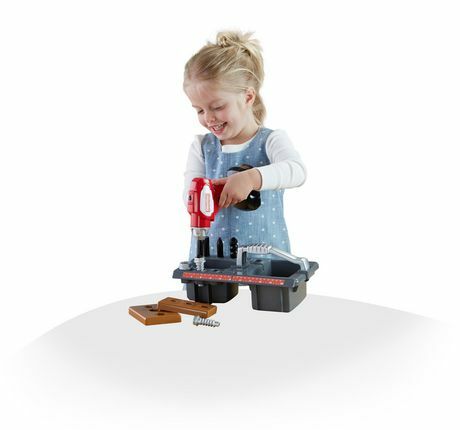 Call in your little builder! 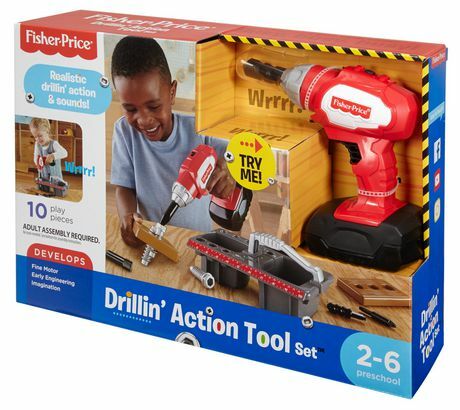 With the Fisher-Price Drillin' Action Tool Set, little ones can screw the "wood" pieces together with their very own drill that actually works! 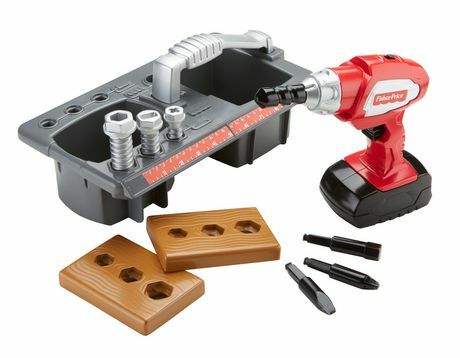 This lean, mean, drillin' machine works in forward and reverse, makes realistic drilling sounds, and comes with interchangeable drill bits, so preschoolers can choose the right one for the job. 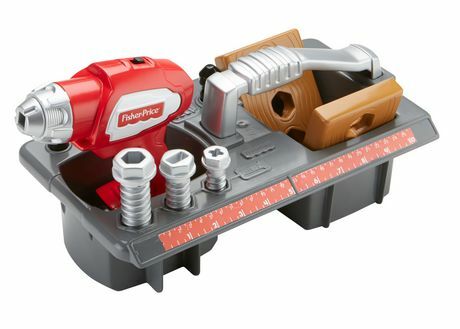 And everything stores easily within the toolbox, making cleanup a breeze! 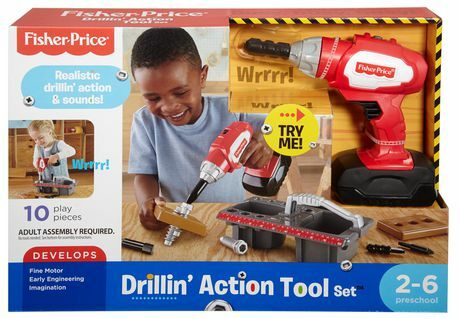 Your little DIY-er will love building and repairing with the Drillin' Action Tool Set! • ​Realistic drilling action & sounds! 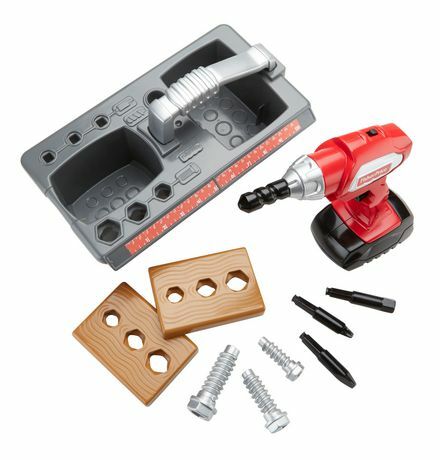 • 2 wood pieces give kids a project to complete! 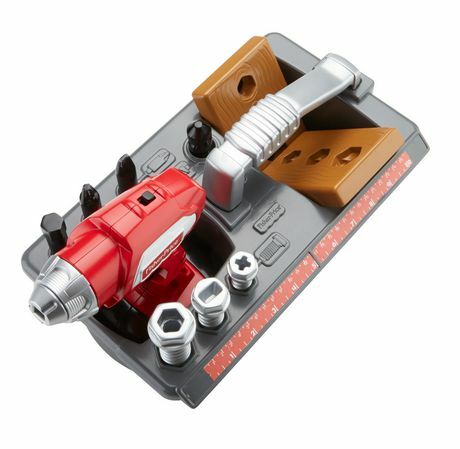 • ​3 interchangeable drill bits that correspond to 3 matching screws—select the right one for the job!